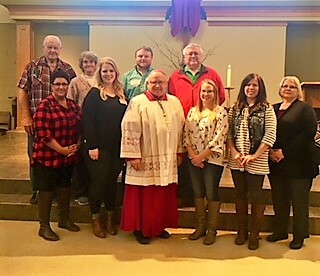 Four members of our community participated in the Rite of Election and the Call of Continuing Conversion, held Saturday, February 17th, with Bishop Hanefeldt, at Christ the King Church in Gering. Please keep Veronica Behm, Ted Smith, Ashley Weingart and Gus Wilkinson, in your prayers during Lent and continue to support them on their faith journey. The Rite of Christian Initiation of Adults is the process through which men and women are guided and cared for as they awaken in faith, grow in their relationship with God in Christ, and are introduced to the Catholic way of live. The RCIA is a journey of conversion for the person participating in the initiation process and a journey of conversion for the whole parish as we walk with our inquirers. 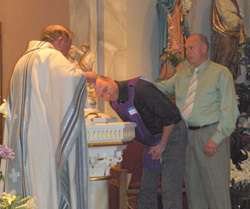 It is through RCIA that adults come into full communion with the Catholic Church. 7:00 p.m to 9:00 p.m.